Moving to Shenyang - Compare International Movers & Save up to 70% ! An international move to Shenyang or anywhere in China does not need to be a stressful exercise. You just need to arrange the expert help of international movers who provide help to hundreds of people with personal and business moves to anywhere in China, including Shenyang. They have many years of professional experience with shipping and logistics to ensure a smooth transit and efficient delivery to your final destination. Intlmovers helps you find the right company by quickly and easily matching your moving requirements directly to the international moving partners who promote their services online with us. You simply select where you are moving from and where you are moving to, and our system does the rest for you. 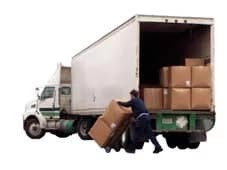 When you use the drop down menu on this page, you will be shown a list of matched international movers who specialize in your chosen route, so you know that you are already in touch with the right people. Fill in the short request form, and your details are immediately forwarded to them to obtain customized quotes that they will send to directly for your move to Shenyang. Don’t concern yourself about searching around for the right company, because you’re in touch directly with the right international movers straight away with Intlmovers. After receiving up to six quotes from international moving companies, you can easily compare and evaluate your options for your international move to Shenyang, no matter where you are arriving from. The international movers have extensive experience with moves to Shenyang. Reduce your stress by getting international moving help for your moving logistics. Convenient way to compare international moving services in the comfort of your home. The People’s Republic of China is broken down in to 33 areas for administration, 22 of which are classified as provinces. Shenyang is the largest and capital city of the province of Liaoning, which is located in North Eastern China. The city is located to the north of the Hun River (previously called the Shen River), which it takes its name from. Within the greater Shenyang area, there are 13 divisions. The first five are considered the city central (proper) districts: Shenhe, Heping, Dadong, Huanggu and Tiexi. The balance of these divisions is the extended suburban areas, satellite cities and rural counties. In total, Shenyang’s area is nearly 13 thousand square kilometers and has a combined population of 8.2 million people. The inner urban area of Shenyang has a population of nearly 5.8 million people. With its north eastern location, Shenyang experiences hot and humid summers with monsoon conditions. More than 50% of its annual rainfall is received in the summer months of July and August. The harsh Siberian winter brings cold and dry conditions, with average temperatures in January of around ten below freezing point. Shenyang is considered to be one of the emerging industrial cities of China and is an important center for the increasing growth of the economy of the country. It is an important city in relation to trade between Russia, Japan and other close neighbors. The major industry in this city of skilled workers include aerospace, auto and electronics, as well as software design and development. It is not every day that you make an international move, so that is why taking advantage of the professional services offered by international moving companies can really pay off in the long run. In many cases, they can help you with packing and storage, as well as the logistics and the international move itself. Their experience helps ensure that your personal and/or business goods arrive on time and in good condition. Getting up to six quotes can be a real bonus when you are evaluating your options for your international move to Shenyang. You can compare not only the prices that are on offer, but more importantly, you can compare the services that are includes for those costs. Make sure that you only accept a quote if you feel that it adequately meets your needs. Your quotes that you receive are all provided completely obligation free by partners of Intlmovers.